Are These Ominous Noises Coming from Your AC? Halloween may be a little over a month away—but no, the weird noises coming from your air conditioner probably don’t mean it’s haunted. Although, they likely do indicate that something is amiss within the system! Some sounds are a sign that you need a simple adjustment, but others can be more serious and should be addressed quickly with professional San Antonio, TX AC repair services. Keep reading to learn about the different sounds you may hear, and what they mean. Posted in Air Conditioning | Comments Off on Are These Ominous Noises Coming from Your AC? The end of summer is “officially” in just a few short weeks, though that doesn’t mean much for folks in our area! 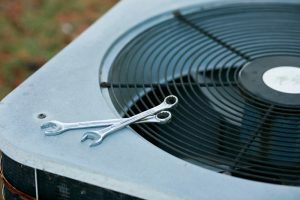 As far as your air conditioner is concerned though, at this time of the year the system has certainly built up quite a bit of wear and tear from steady work. 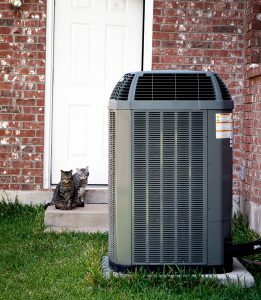 Considering that we begin using our air conditioners pretty regularly starting in April—sometimes even earlier—it makes sense that you might run into some problems with AC malfunctions or that your cooling system may begin to run inefficiently, raising your electrical costs and causing a need for San Antonio, TX air conditioning services. We’ve shared a few tips below on how to help your air conditioner get through the rest of the season as efficiently and effectively as possible.